Garage Doors of Cheshire supply, install and maintain a range of premier garage doors which blend the convenience of power operation with smooth, vertical opening and the benefits of insulation to provide the perfect solution for any garage. Compared to conventional garage doors our applications significantly reduce both noise and heat loss, whilst freeing up valuable garage space. Available in eight standard colours and four wood effect finishes we are confident we can accommodate your requirements and enhance your property. Controlled by a unique intelligent remote control system, operation is simply effortless. Additional benefits include security, reduction in heat loss and exterior noise whilst freeing up valuable garage and driveway space. A vehicle can be parked within 50mm of the door without disrupting operation. Committed to offering the perfect garage door, all GDOC doors are manufactured using the highest quality components and safety is never compromised. For more information about any of our products and services please contact us. 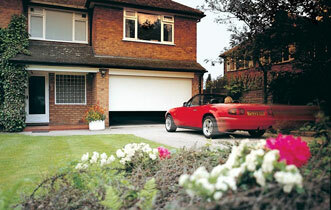 Garage Doors of Cheshire can supply, install and maintain your domestic garage doors and roller shutters. 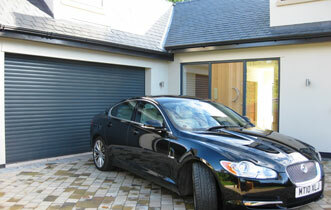 We operate all over Cheshire and supply only the best quality garage doors and roller shutters. Our range of premier garage doors blend the convenience of power operation with smooth, vertical opening and the benefits of insulation, to provide the perfect solution for any garage.